PT Pelabuhan Indonesia IV (Persero) - Pelindo IV or referred to as "Inaport 4" is a reputable state-owned company in Indonesia with principal business in marine industry. 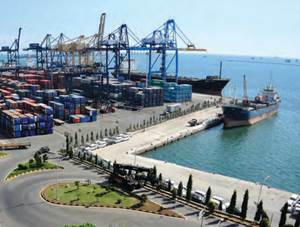 The Company has strong business focus as a port operator in the eastern part of Indonesia. Inaport 4 is a non-listed state-owned company and is fully-owned by the government of Indonesia. PT Pelabuhan Indonesia IV (Persero) was founded in 1991 as a merger results of PN Pelabuhan V (partially), PN Pelabuhan VI, PN Pelabuhan VII, and PN Pelabuhan VIII, plus 6 ports in the Irian Jaya Province (now Papua and West Papua Provinces) based on Indonesian Government Regulation No 59 of 1991. Headquartered in Makassar, South East Sulawesi, PT Pelabuhan Indonesia IV (Persero) runs its business through 23 port branch offices spread in Sulawesi, East Kalimantan, Papua and Maluku areas. In terms of financial performance, PT Pelabuhan Indonesia IV (Persero) has shown significant performance improvements in 2014. The Company had boosted its total gross revenue to Rp 2,422 billion in 2014 from Rp 1,919 billion in 2013, according to PT Pelabuhan Indonesia IV (Persero) Annual Report 2014 as cited by JobsCDC.com. Total net revenue in 2014 amounted to Rp 2,013 billion, booked a 18.61% growth from Rp 1,697 billlion in 2013. Referring to its annual report, total net income grew considerably to Rp 475.94 billion, from Rp 389.20 billion in the previous year. Education background ANT I, ANT II and ANT III. Age as of 1 December 2016. ANT I and ANT II : maximum age of 40 years old. ANT III : maximum age of 35 years old. Required sailing experience for minimum 3 years as a Navigator (Mualim), preferably as a ship captain. Minimum height of 162 cm. Not wearing glasses or opticlens and and no eye defects. No tattoos, no earrings (for Male). Willing to be placed in all working area of PT Pelabuhan Indonesia IV (Persero). Willing to follow Pandu Education Program Batch XXXIX 2016/2017. Recent color photograph 4x6cm, 3 sheets (dressed in white long sleeves, tie and blue background). JobsCDC.com now available on android device. Download now on Google Play here. Please be aware of recruitment fraud. The entire stage of this selection process is free of charge. PT Pelabuhan Indonesia IV (Persero) - Pandu Education Program Pelindo IV June 2016 will never ask for fees or upfront payments for any purposes during the recruitment process such as transportation and accommodation.